WILL A SPRINKLER SYSTEM ADD TO MY HOME’S VALUE? A sprinkler system can add value to your home if you choose an irrigation system that is professional and convenient to use. In warmer climates and arid regions, a sprinkler system can increase foliage growth and decrease the likelihood of yellow grass caused by drought. A sprinkler system can help ensure that your home has maximum curb appeal. A sprinkler system indirectly increases a home’s market value by enhancing the home’s overall curb appeal. Since attractive landscaping requires sufficient watering, an automatic sprinkler system ensures the protection of your investment. It increases property value because it enables plants to live longer and grow healthier over time. A sprinkler system adds value to a home because it offers time-saving and energy-efficient lawn maintenance. Many potential homebuyers want a yard that is easily maintained and convenient to water, and an irrigation system meets those demands. According to freshome.com, “An irrigation system that works properly and covers the full yard can add value.” Proper maintenance and upkeep of a sprinkler system contribute to its added value. Our irrigation colleagues at RainBird assert that a properly designed and efficiently installed water sprinkler system can increase a property’s value above the cost of parts. Likewise, some real estate appraisers feel that a poorly designed irrigation system can significantly detract from the value of a property. It is advisable to install a professional sprinkler system that effectively saturates both the grass and any landscaped areas. 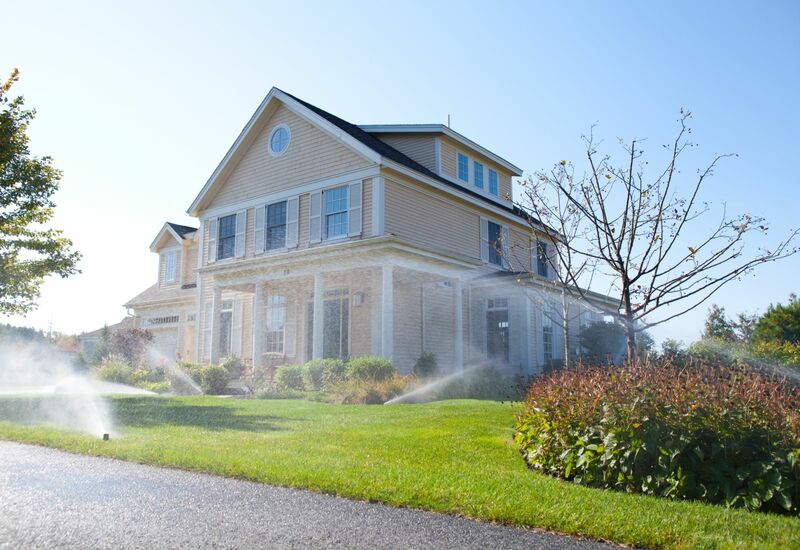 A sprinkler system also increases a home’s value because it helps a homeowner conserve water. An automatic sprinkler system allows a homeowner to place exactly the right amount of water on specific lawn and garden areas so that water is not wasted. Some automatic irrigation systems have the ability to sense moisture and will automatically turn off when it rains. Water conservation is appealing to potential homebuyers who are looking for ways to be environmentally conscious.